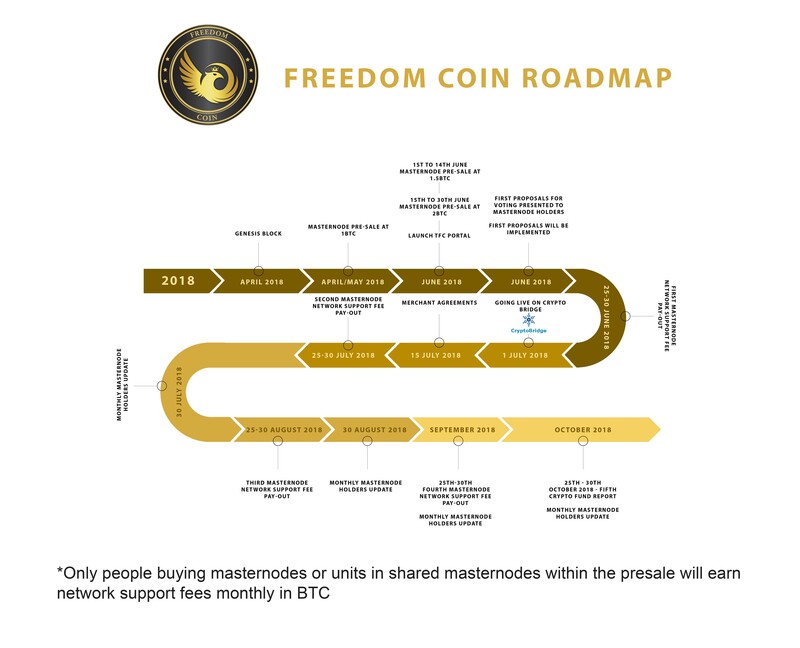 Instead of just receiving rewards for owning a Masternode like other Masternode cryptocurrencies, TFC Masternode owners are also paid an additional network support fee in BTC for supporting the network. This incentivizes Masternode holders to keep their Masternodes. This is calculated from the pool of TFC production. It also gives each owner a vote on the future of products and development within the project. Participants of the ICO that purchase shared or full masternoodes will immediately start generating more TFCs producing an instant return on investment. In addition, there is the normal Masternode reward that is paid to Masternode holders from the pool of daily TFC production. TFC Wallet owners also stand a chance to receive Proof of stake rewards. Make TFC the HODL coin of choice. The rationale is to provide the crypto community with a coin suitable for transacting, governed by the holders of TFC Masternodes and linked to a TFC reward system. The TFC customer has been assessed using the Customer Experience Management (CEM) method and depicted in a Successful Customer Outcome Canvas.